C547CV Years: 1958-64 Complete Carburetor Repair Kit. For Models With 172 Gas Engine, Prior To S/N 126524. 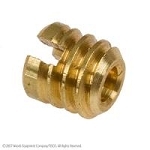 Home > Carburetor Assembly > C547CV Years: 1958-64 Complete Carburetor Repair Kit. For Models With 172 Gas Engine, Prior To S/N 126524. C547CV Years: 1958-64 Complete Carburetor Repair Kit. For Models With 172 Gas Engine, 1958 To 1960 Prior To S/N 126524; Carburetor Part #: Marvel-Schebler TSX769, TSX813, Ford 312955. 1962 to 1964 After S/N 126524; Carburetor Part # Marvel-Schebler TSX813, TSX662, Ford 312955, C0NN9510C. 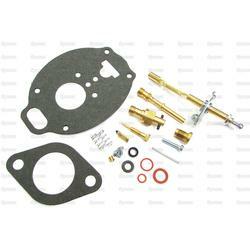 Kit Contains All Parts Necessary For Major Carburetor Overhaul, Including Viton Float Valve. (DOES NOT INCLUDE CHOKE SHAFT). 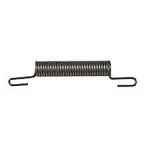 Fits Ford Tractor: 801, 901, 4000.